An incomparable experience in time travel! 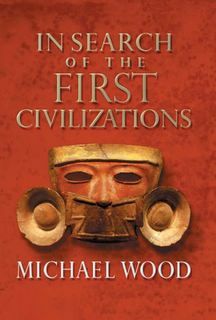 Historian Michael Wood takes you on a tour of four continents in search of vanished, ancient cultures and societies. Tracing the civilizations of Mesopotamia, India, China, Egypt, Central America, Greece, and Rome, Wood spotlights the legacies of Asian and Western cultures, and teaches world history from a truly world perspective. After thousands of years as a hunter/gatherer, man built the first cities 5,000 years ago on the banks of the Euphrates in Southern Iraq. Civilization began. City life transformed the human race with the glorious cultures of Mesopotamia such as Ur, and Babylon. Ancient India is with us today in the living tradition of the Hindu religion, the basis of Indian culture. The traditions that are honored by millions of Hindus in the present were born in the Indus valley 5,000 years ago. Many breakthroughs on which the modern world is based were discovered in China long ago...iron-casting, gunpowder, even printing. When introduced to Europe, these things changed Western civilization. This episode presents the synthesis of East and West. Ancient Egypt was the first great nation on earth and endured for thousands of years. The god-like Pharaoh was the rock on which this civilization was built. Ancient traditions come together in the Moslem culture that is the Middle East today. Isolated from the rest of the world, the Mayans and Aztecs created sophisticated civilizations that in many ways paralleled ancient Mediterranean empires. God-like kings and a priestly ruling class dominated splendid cities of temples and pyramids. Civilization arose in Asia, but it was the West which would create the first world culture. 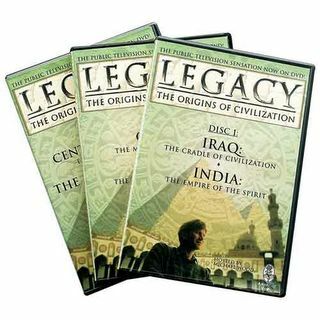 This final episode traces the origins of western culture through Greece and Rome prevailing by borrowing from the legacies of the original five old world civilizations.